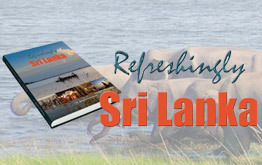 Get introduced to many local publications on travelling widths and heights of Sri Lanka. Read some online while others are available at leading bookstores. Read for the love of adventure or be informed before taking a great journey in Sri Lanka..
Plan your trip with instant access to the latest news, general information about this beautiful island, shopping, accommodation, transport, tours, festivals, museums, travel agents, wining and dining, national parks… anything you need to know to make your Sri Lankan journey the most memorable ever is right here, at your fingertips.Available at Sri Lanka Tourism Promotion Bureau Travel Information Centers. TEA (Travel + Entertainment + Accommodation) Guide' is a well organized, complete guide on everything COLOMBO, the most visited destination in Sri Lanka. 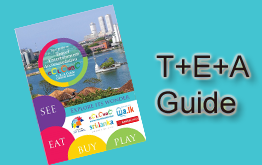 It is a well designed, richly illustrated, glossy travel guide filled with interesting information, maps, photos and an event calendar covering COLOMBO, the most happening city in Sri Lanka. Our comprehensive on-line information portal on Colombo provides information on Best Deals, Accommodation, Restaurants, Night-life, Things to do, Shopping, Wellness, Services, Education, Kids and Events. 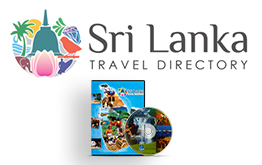 The Sri Lanka Travel Directory is Sri Lanka's first publication of its kind ever produced in DVD format as well as an Internet Travel Directory with video attractions. We’re here to give you the inside scope of this tropical island paradise. Let’s get adding, sharing and showing a bit of love to those listings that really wow you. And once you’ve experienced a listing, rate and review, it’ll help those who follow. Don’t forget to keep visiting as listings keep increasing every day. 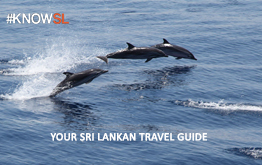 Be our guest, go ahead, explore and discover for yourself the wonder that we call Sri Lanka.